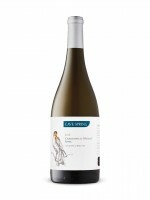 Refreshing and floral Chardonnay Musqué always represents tremendous value for money in the Cave Spring portfolio. Sourced from a single block in Cave Spring Vineyard, this estate-bottled white can always be counted on to deliver lots of intensity and charm for the price. Cave Spring’s Chardonnay Musqué is always compelling, but really shines in warmer vintages, such as 2016, when the character becomes more exotic and powerful. The texture of the 2016 is round and supple, which adds weight and richness to a dry white that’s really dialled in. The residual sweetness and acidity are nicely calibrated and the finish is refreshing and long. This is best enjoyed in its prime to really appreciate the fragrance and freshness. But now that it’s bottled under screw cap, it will be interesting to see how a bottle tastes in 2020 or beyond. 840 cases. Recommended.